Madrid’s Anthony May is a talent producer, DJ, and songwriter who blurs the lines between big room circuit and electronic dance music always striving to create the music of tomorrow. Like his set made famous throughout Madrid, Barcelona, Dubai, Lisbon, Tel Aviv, London, Rio de Janeiro, Ibiza, Miami, Hamburg, Dublin, Paris, and Milan, May injects vibrant energy into each layered production. 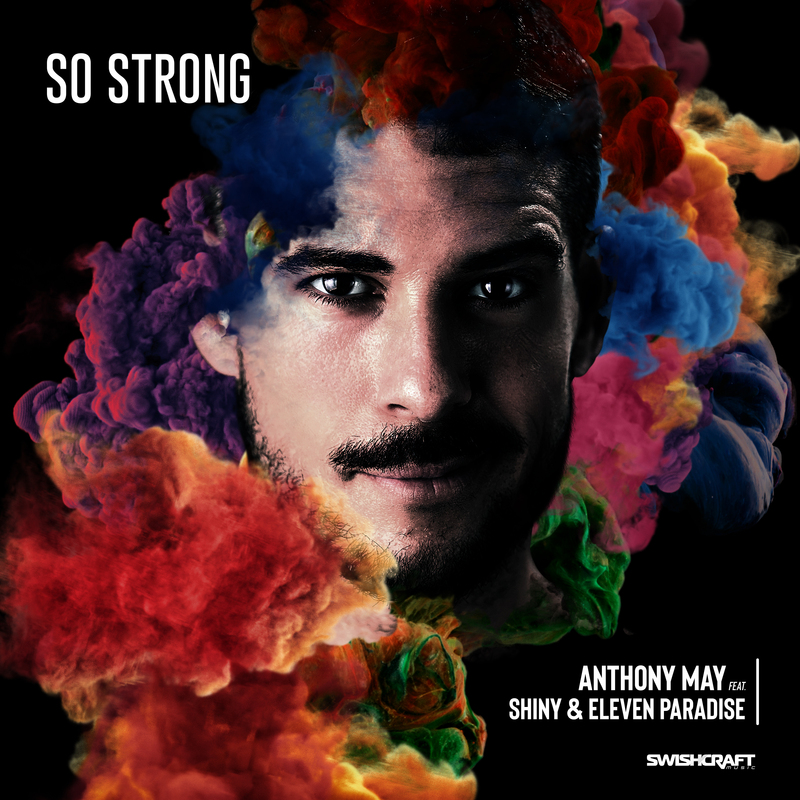 And this latest release, “So Strong” featuring Shiny & Eleven Paradise is a perfect example. The FIve-Track EP comes complete with Big Room Tribal, Peak Time, Tech House, Nu Disco, and Indie House remixes from Dirty Disco, Testone & Matt Consola, Larry Peace, and Lucius Lowe. Plenty of dynamic interpretations to please most every dance floor.